Aquamarine is a beautiful stone that can magnificently show and reflect the different colors of the seas around the world. When you look into its beauty, images of tropical lagoons will come to anyone’s mind. It is known as the birthstone for babies born on March as adopted by the American National Association of Jewelers. It is also the stone that is significant for couples celebrating their sixteenth and nineteenth anniversary. 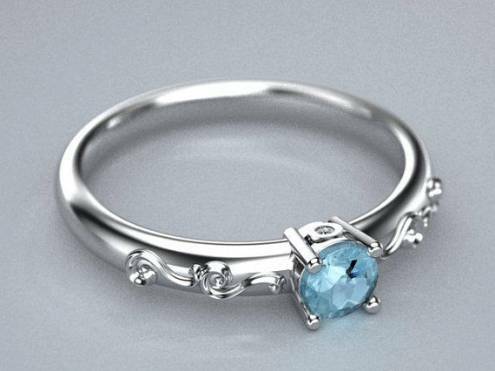 The aquamarine stone is also the birthstone of the Zodiac sign Scorpio. The stone symbolizes many meanings, but it can be summed up to three words: purification, strength, and safety. 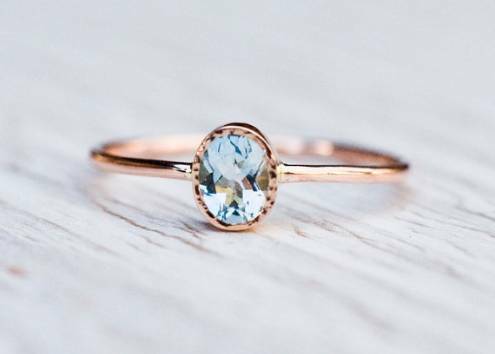 Most couples choose an aquamarine ring as an engagement ring. 3 What is an Aquamarine Stone? 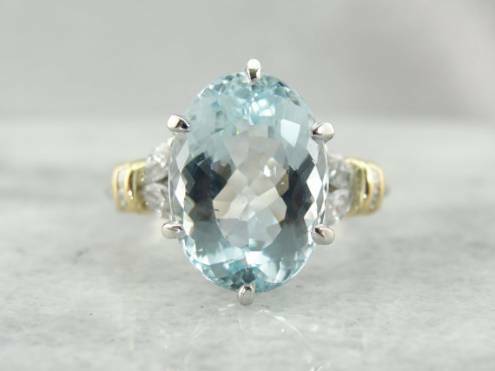 The term “aquamarine” was first used by Anselmus de Boodt in his book which is titled “Gemmarum et Lapidum Historia” way back in 1609. It has always been a valuable gem for Ancient people. 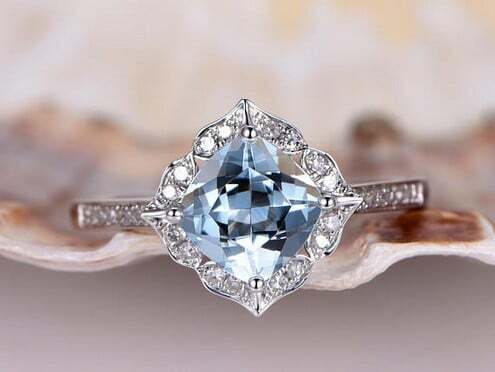 Back in the 19th century was the rise and popularity of aquamarine stones with a sea green color or natural color. In 1910, the biggest ever mined aquamarine stone is found in Brazil. It weighed 243 pounds which were cut into smaller sizes and yielded more than 200,000 karats. 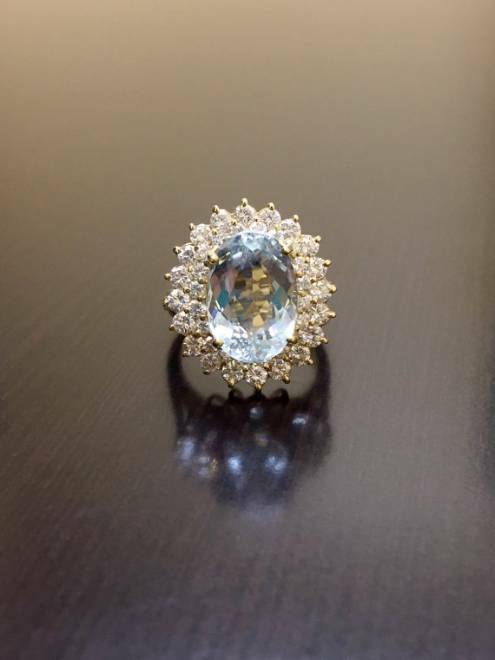 What is an Aquamarine Stone? 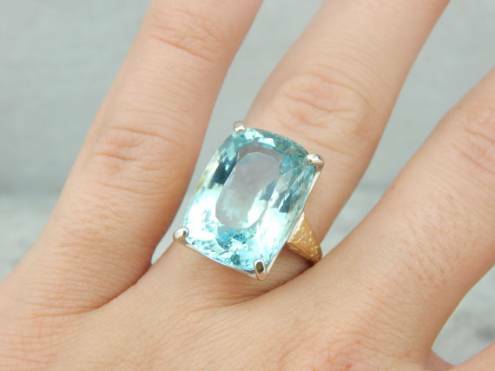 Aquamarine is a part of the beryl stone family to which emerald is also belonging. It features the myriad colors of the sea. Its name is derived from Latin words that mean water and sea. This stone is typically pale and clear but because of its iron content, it achieves beautiful hues of blue and green. They are found in granite pegmatite, alluvial deposits of gravel, and cavities. These stones can be found in Brazil, Nigeria, India, Pakistan, United States, Afghanistan, Madagascar, and the Soviet Union. These stones are commonly cut in emerald shapes, oval shapes, and pear shapes. The stone’s color varies in different shades from a nearly colorless pale blue to blue-green or teal. Naturally, aquamarine stones contain light green colors and secondary hues of yellow. 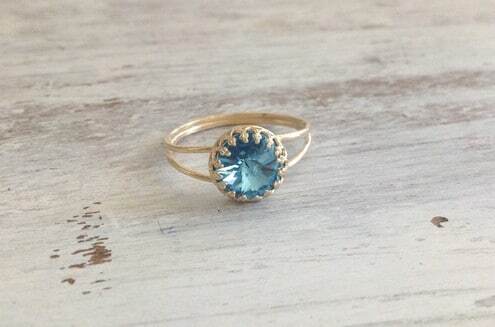 It is very rare to find an aquamarine stone that has a completely blue hue. 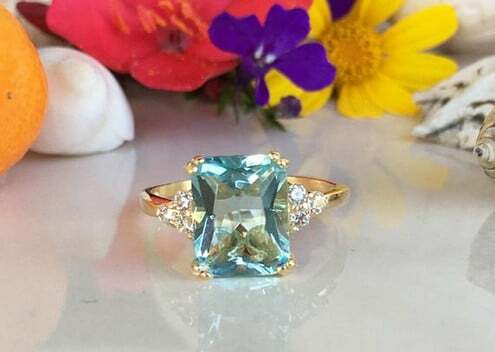 Before, the most prized color for aquamarine stones are those with shades of green but now, the most prized stone color are stones with deep dark aqua blue color. 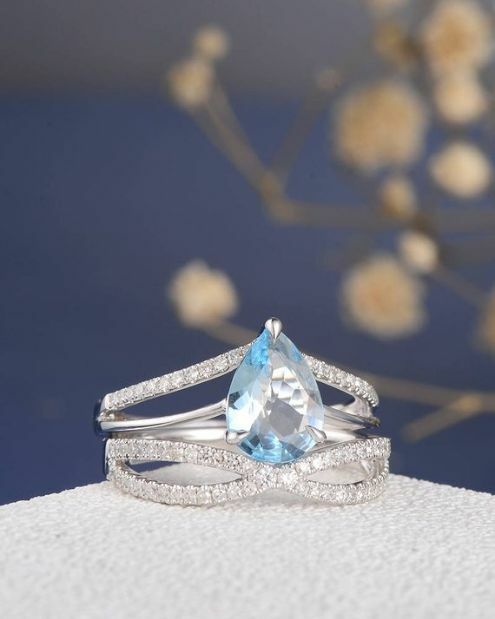 This is because natural colors of aquamarine undergo a process where it is heated to get rid of any green and yellow tones to achieve a darker and blue tone. Aquamarine has a rich meaning, powers, and healing characters. The blue color of the aquamarine stone signifies positive energies and traits. These are trust, harmony, faithfulness, and companionship. Some legends about the stone say that it can provide mental clarity, good health, and protection. It has also been known as “the Sailor’s Stone” because, in Ancient times, sailors believed that the stone can give protection from any storm, struggles, and disasters on the ocean. 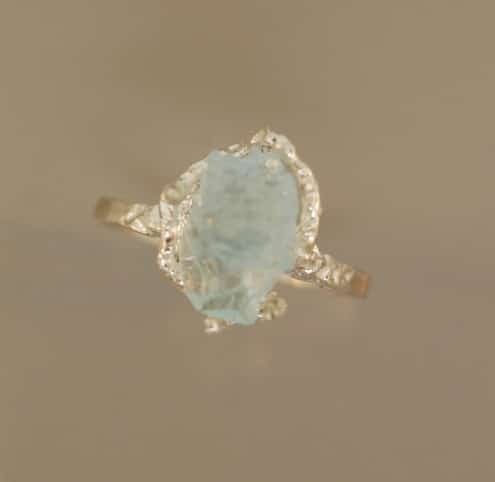 Aquamarine make the best couple’s ring because it has long been known as a sign for everlasting love. 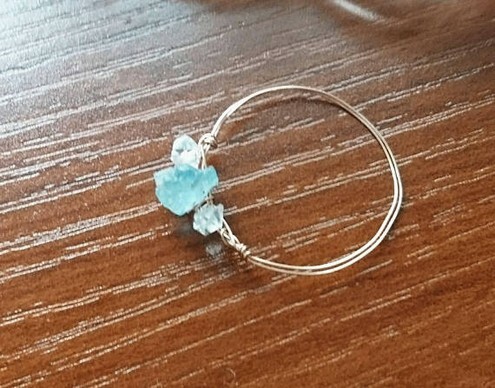 Dated back in the Roman Empire, newlywed young Romans would present a piece of aquamarine jewelry to their wife the next morning after the consummation of the wedding. It symbolizes their endearing promises for a strong married life. The Ancient Romans also believed that the stone can be used to cure stomach, liver, jaw and throat diseases and illnesses. Similarly, another stone with love properties is the powerful and high vibrational Morganite, a universal stone of unconditional love. A member of the Beryl family, and siblings of the Aquamarine, Morganite is the pink variety of Beryl. Aquamarine has a hardness level of 7.5. It can be a piece of sturdy and durable jewelry that lasts long provided that it is treated with proper care. There are a few simple ways on how to protect this precious jewelry from unwanted scratches and hard knocks and how to restore its glitter and sheen. removing the rings prior to plunging to swimming pools or any chlorinated water. When storing the ring, always place it inside a soft cloth to ensure other jewelry are not scratched by the strong stone. As always, it is better to not wear the ring when doing chores and hand work. Even though this stone is hard, it is still not advisable to expose it to heat. It is also important to avoid hydrofluoric liquid as it can damage the aquamarine stone. 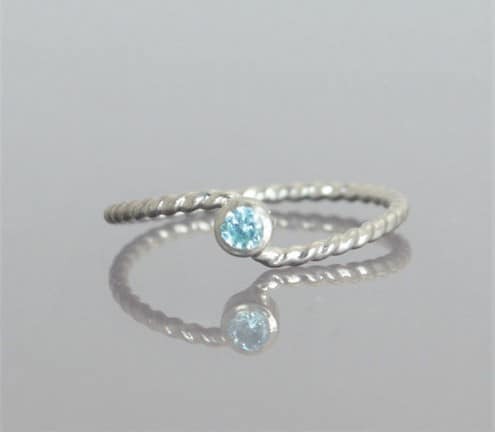 Luckily, the aquamarine ring needs lesser care since it is strong and is always ready for long term wearing. Like any other jewelry, it requires cleaning once in a while. It is always best to wash it with warm water and a little mild soap. Let your jewelry soak in the soap mixture for a few minutes and use a brush with soft bristles. Be careful with the prongs of the ring as they can easily be bent. After brushing, rinse it well and remove all soap residue. 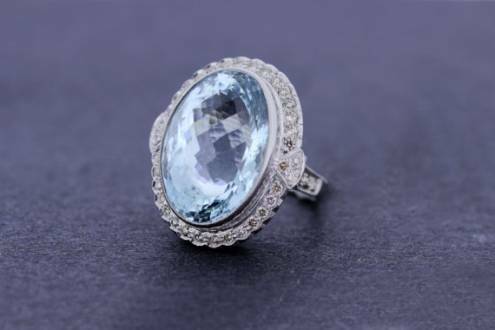 In addition, cleaning the aquamarine ring with ultrasonic or steam cleaners can be safe provided that the stone has no liquid inclusions or fractures. 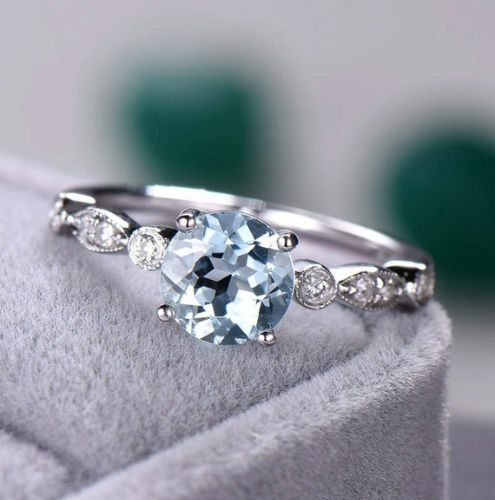 It is important to be knowledgeable and savvy in buying Aquamarine Rings, not only to ensure quality but to have a piece of lasting jewelry for your loved ones. These stones come in all sizes, shapes, colors, styles, and cut. The good news for buyers is that there are no faux or synthetic Aquamarine stones sold today, but there are mislabeled. For instance, you may find a synthetic blue spinel that may be labeled as “Synthetic Aquamarine”. 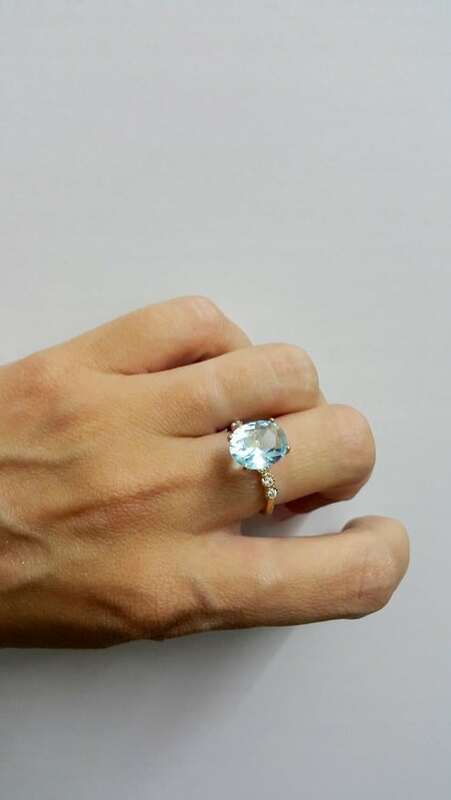 A blue topaz may also be labeled as “Brazillian Aquamarine” or “Nerchinsk Aquamarine” and a treated blue zircon may also be labeled as “Siam Aquamarine”. Some cut colored glass is also mislabeled as “Mass Aqua”. Now, with all your newly acquired knowledge about the Aquamarine rings, are you going to dive into the blue? Hey lovely readers! My name is Chantal and I am obsessed with everything accessory and jewelry. My husband (and best friend) John and I, have been writing content for this blog for over 4 years now started the RTP store with over 4000 curated accessories and jewelry. We are traveling around the world to find the latest products, negotiate the best prices and find the best quality for our readers. We have managed to make our passion for feeling and looking good into our work. We are always open to new product suggestion, improvements or feedback. 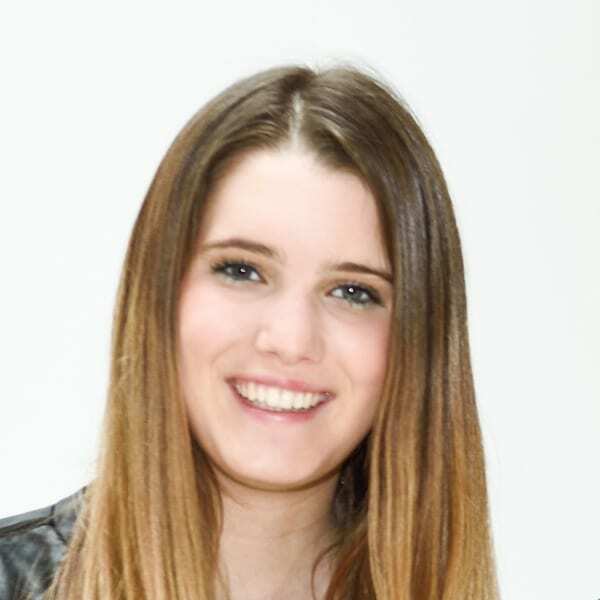 If you would like to chitchat with me, email me here!